As we round off the last few days of this early winter sale (yes, it’s only early winter...much more to come! 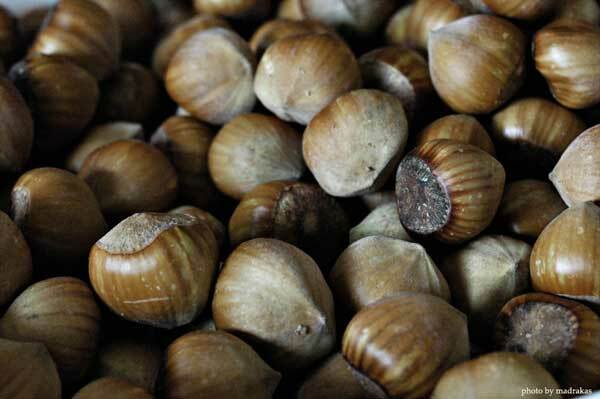 ), I wanted to share some more information about protecting those sensitive young nut trees. The information below is based more on strategies, as opposed to specific techniques. Good tree protection is partly about knowing the animal pressure on your site, and making management decisions that allow your trees to thrive. don’t forget, the sale on bulk nut trees ends this Monday, January 9 - and this is the last reminder I’m going to send about it. I hope you've been enjoying the information I'm sending along in these newsletters - please feel free to respond to these emails with questions, and I can address them in future mail-outs. I try not to think of myself as being at war with these lovely creatures, who in other contexts I really appreciate, but I wanted to talk about strategies that can keep your trees safe. Some of them are labour intensive and intended for only the most special trees, and others are intended to help with larger plantings, where labour and financial budgets usually prevent us from doing the ‘best’ protection method. Browsing on young trees by deer normally takes place most heavily from fall through early spring. Rabbits behave similarly, but can’t reach as high - unless they have snow to get on top of. The typical damage you see on small trees is heavy munching of the still tender woody parts of the tree. Sometimes this extends to chomping the entire top off the tree. Plastic or metal tree guards. These can get expensive if you are planting a lot of trees, and only protect the part of the tree inside the guard. I’ve used them a lot on smaller sites, or gradually planted sites. If something nips off the entire top of the tree, it will very often emerge again from a bud below the guard. I’ve used chicken wire wraps about a foot wide, held to the ground with a stake threaded through the chicken wire, and found that works quite well - though watch out for the top of the tree emerging above that - it can still get nipped clean off. You can also apply this strategy to protecting a group of small trees all together -I've wrapped whole areas with chicken wire - though keeping a close eye that the trees don't get caught in it, or that a bridge for bunnies doesn't accidentally get created when the fence folds over to the ground! If you have a livestock guardian dog, or a dog that you can run around a fence-line at your property edge, that can be a great way to persuade deer that there are predators around, hopefully encouraging them not to enter your property. Deer can be prevented by a fence of at least 8’ in height, though some people recommend as high as 10’. This can be something very fancy and expensive, or could be a standard fence that has a few high single strands of wire held up by extra tall posts. I’ve also heard of a trick of putting peanut butter on a live electric fence - one lick is a very strong behavior modification for that deer! This one comes from Mark Shepard. Observe closely where deer move through your property. Plant a bunch of inexpensive, fast-growing trees like hybrid poplars right near their regular trails. You might put these near where you know deer bed-down for the night, or might actually put them up blocking a way that would lead to the trees you care more about. The vigour of the poplars means that they will just keep sprouting back, and the deer can keep munching them to their hearts’ content. The hope is that they'll get enough browse from these poplars, and not be desperate for your other trees. If you hunt or allow hunting on your land, that can reduce overall deer populations. Alternately, you could try giving refuge to coyotes, or other deer predators - though this would not be the best idea if you have domestic animals or pets. That said - this strategy is not a great option, because deer are often on the move over very large areas, so if one group is dispatched, more will show up - and the new ones might have an even greater taste for your trees! This one comes from Sepp Holzer. You basically incinerate animal bones in the absence of oxygen by heating them inside a cast iron pot that’s under a hot fire. The yucky juice that oozes out of the bones is very nasty stuff that can be painted on trees, and is said to have a taste so awful to herbivores that they will think twice before ever browsing again in the same area. It’s also said to last many many years between re-application - the taste apparently stays in the wood so long that by the time it wears off, a single munch won’t put the tree at risk. There are of course other repellent options as well, including a vegetarian-friendly one called Beech Tar - but I have never been able to track down someone who makes it, and have never come across enough beech nuts, or instructions on how to make it. By planting more trees than you know will fit in the space when they are full size you can protect against situations where you lose all your trees. Sure, animals will eat some of your trees - but if you plant with the expectation that 2/3 are for the animals, you save a lot of time on protection - though it depends how cheap your trees are. This is a better option once you're producing lots of your own seedlings, or grafting your own stock. Not necessarily recommended with the nut trees we sell - which are intended to share high quality genetics that can give you a head start on growing your own. If you don't get high animal losses, great - you can always thin the dense plantings by transplanting them, harvesting the wood for another use, such as growing mushrooms. Some plants are said to hold repellent qualities for deer or rabbits. However - this appears to be highly variable. In some regions, people might say that deer and rabbits never touch their hostas - and in others, people might have that be the one plant that always gets hit. Long story short - these are great to experiment with, but might not be reliable in the long-run - since things also change over time. I can’t imagine cedar tastes that good, but some winters, if there is enough snow, and enough deer, they munch it right up. Mice and voles will get down under the snow and last year’s herbaceous foliage, and girdle young trees near ground level. I have found the best solution to this problem to be solid plastic rings (or wraps) about a foot tall. You can buy them, or I’ve cut one foot lengths of ‘big-o’ black plastic drain pipe to slip on. Some of the strategies above are worth trying as well. There are also some tree guards that combine protection from mice and voles with protection from rabbits and deer - tubes as high as 4’ or 5’. Walking on our farm this winter (which we just moved to this summer), I'm seeing a lot of vole activity. They are adorable, but make me think I may face much higher pressure from these little fellas at this site, compared to my last one. On the other hand, we found some owl pellets the other day, and have seen a short-eared owl in the area - which gives me hope. When I was in grade six, I did a science project where I gathered a bunch of short-eared owl pellets (which are little furry things that most owls barf up to get rid of fur and bones they can't digest). To learn about the diet of the owls, I used tweezers to pick apart the pellets and examine the tiny rodent bones. I learned that their diet was almost exclusively meadow voles. So - another strategy for vole reduction - more owl habitat! It's almost impossible to avoid some damage from 'varmints', and/or 'critters'. If typically prune the tree back to a healthy bud, taking off damaged bark and broken branches. If the tree is girdled, there are grafts you can do by taking tiny pieces of cambium from other parts of the tree, and creating channels so that sap can flow up and down the stem. In my opinion, this operation should be reserved for only the most precious trees, as it's labour intensive and risky. In most cases, I would prune to below the girdle. Cross your fingers, and hope the tree has enough energy to grow from that top bud, or in the case of a really low girdle, from the root ball below ground. They often do. With a multistem shrubs like hazels, or trees that coppice well (such as both hazel and chestnut), you could have pretty good luck with them re-cooperating from damage. You can always test if the tree is still alive by inserting a fingernail into the bark, and checking if it’s green underneath. Careful - this can damage the tree, but can also give you important information about whether a tree is still worth putting your time into. One thing I came across in biodynamic literature was to cake clay-rich mud on the stems of trees that have been damaged, which gives the tree a chance to heal while protecting it from the elements. I’ve not yet tried it, but I’ve talked to others that say this is a successful technique. Especially on the heels of 2016, drought is a major concern. What if you get your trees all planted, and then we head into one of those 1-2 month long periods of practically no rain? My recommendation is to have a back-up way to water your trees. This might just be being prepared to purchase or re-purpose some drip line, or it might be making sure your hose can reach far enough to manually water. On the other hand - have faith in your tree’s ability to find water. I’ve heard that overwatering can be as big a problem as underwatering - in fact, much bigger. I believe I have lost trees in the past that may have been from over watering. What makes me think this is that when the tree has access to water close-by, it won’t expand out with its roots - the roots will stay closer to the main trunk, since water is close at hand. If a drought comes along much later, in year two after planting, for instance, the tree might not have enough root spread to capture the water it needs. The suggestion I’m now following is to water in the tree well when planting, then leave it, and water when your observations indicate that you should. Has it been a long time without rain? What does the soil near the tree feel like? If it’s really dry, consider watering, but not right next to the tree, maybe a foot or so away - this should make the tree’s roots ‘stretch’ a bit towards where the water is. Some sources say to water the trees once a week, others say don’t water unless there’s a serious drought. It’s one of those things you just have to muddle through, and try different things with the soils on your site. Forget watering - what about swales and keyline design? ALSO - and this is a big thing that I've not had the opportunity to do quite yet - if you can plant your trees and shrubs along a swale that's catching water, the thought of a killing drought might make you laugh. I plan on doing keyline design and examining the way water moves on my land heavily before planting certain areas. I was speaking with someone recently who said they didn't lose any of the trees they planted along the edge of a swale after last year's drought - the swale caught enough water that this wasn't a problem for them. Did you order too many trees? Did you think you’d know where to plant them by the time they arrived, then life got in the way, and you have no clue? The good news is that although it might be a bit more stressful in the long-run for the tree (and you! ), trees are astoundingly resilient. In situations where you have too many trees to plant at one time, or the final site for the trees is not ready yet, I suggest putting them in a temporary bed that’s close to a hose - that takes care of your first concern - water. Next you want to think about varmints (see above), and weeds. I’ve often ended up with trees in garden soil loaded with weeds. This can make a great cover that prevents varmints from finding your trees. It can also add competition, if the weeds are really high, and blocking light from getting to your trees. You have to measure your own situation - sometimes letting the weeds grow high can be a good thing, and in other cases, where you have solid protection from animals (such as a dog), and the labour to spare, you may want to weed heavily, leaving the weeds as a mulch around the trees. And if you have mulch from other sources, you may want to spread that around the trees to drastically reduce your weeding time. Keep in mind that course wood chips can be hard to shovel through when you go to transplant the trees. The short answer to this problem is - try not to order trees until you're ready, but if you get them, and you’re willing and able to put in the time, it’s not the end of the world. In fact, some people prefer to let small seedling trees get a bit bigger before planting them out in fields. Maybe their tree protection strategy requires slightly larger trees, maybe they know their soil dries out pretty quickly and they won’t be able to water as often. Well, that brings me to the end of this little cluster of nut sale newsletters. Watch out for more later in the winter and in the spring, as in future newsletters I move into profiles on some of the other plants, trees, and vines we offer - maybe even more sales - you never know. If you have questions or want to talk to me about your nut tree/forest garden/permaculture project for advice, send me an email at readrobread@gmail.com. I’m not going to up-sell you or try to sell you trees if I don’t think your project is ready - usually the best way to start a project is with a lot of observation. Even though this sale is a really good deal, it might be better for you to wait a year. I can’t guarantee we’ll have a sale this good in the future, but there’s nothing worse than getting a bunch of trees, then not having something to do with them - but see above for what to do if you do run into that situation!